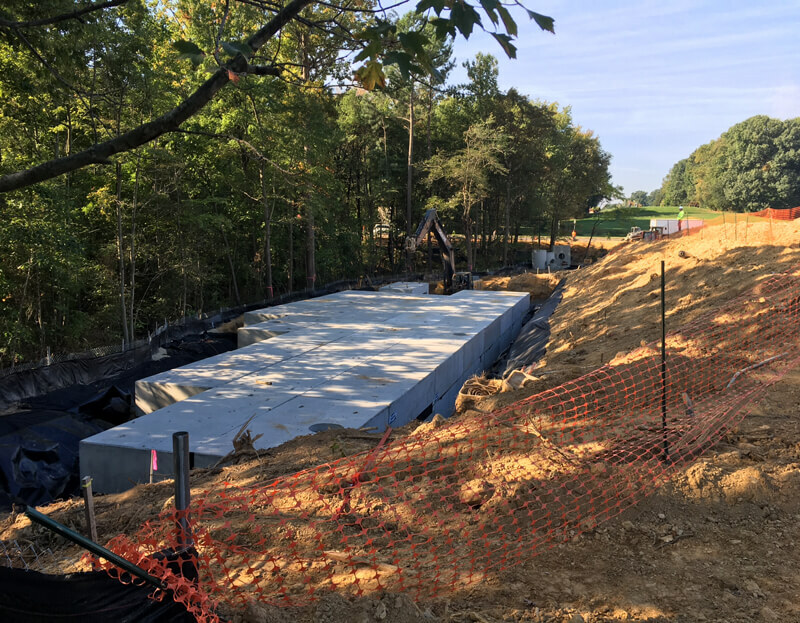 Whether you are designing a new site or working on a re-development, it is essential to incorporate stormwater management best practices during and after development. This is crucial in order to prevent flooding, habitat degradation, erosion, and pollution in our waterways. Throughout this blog, we will discuss the importance of stormwater management – specifically as it relates to stormwater quantity – and different solutions to help manage it. Stormwater runoff is the excess water that flows over the ground surface, usually created when rain falls onto rooftops, roads, driveways, parking lots, and other paved surfaces. These surfaces don’t allow the water to soak into the ground and follow its natural path to the water table or streams. There are two ways in which we can handle this. 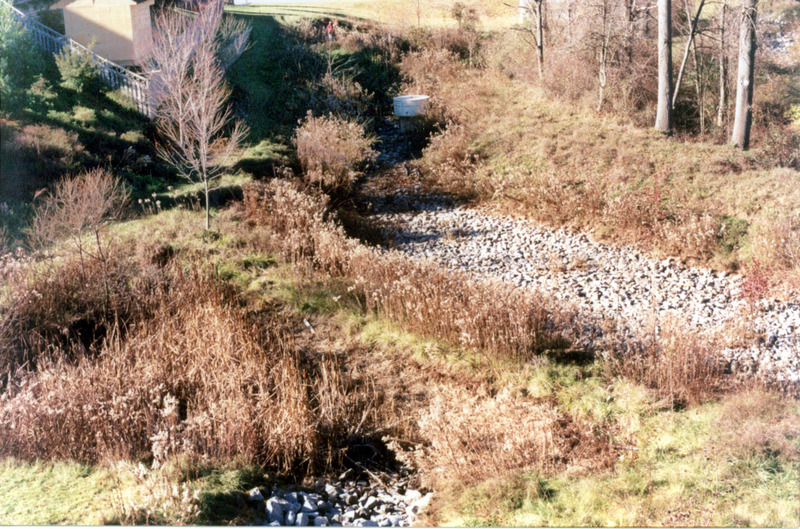 We can capture runoff and control the release back into the ground or storm drain system. This will avoid any problems and allow for groundwater recharge and replenishment of local aquifers. We can harvest the stormwater and reuse it. The water can be used for many things, such as landscape irrigation, toilet flushing, and cooling towers. This also works with graywater. The National Pollutant Discharge Elimination System (NPDES), created by the Clean Water Act in 1972, enables smaller governments to perform the permitting, administrative, and enforcement aspects of the program. Low Impact Development (LID) requirements calls to the use of natural processes to protect water quality and associated habitats. Leadership in Energy and Environmental Design (LEED) is a rating system constituted by The U.S. Green Building Council (USGBC) that focuses on sustainable building practices, which for stormwater management means minimizing disruption to the natural hydrology of the site and reduction of pollutants. Depending on your project’s location, you will have different requirements, so it’s important to check your state and local regulations. There are many ways to manage stormwater runoff, and below are five methods you can incorporate based on your project’s requirements. Shallow (3- to 12-foot) trenches are excavated, lined, and filled with aggregate in order to collect stormwater runoff and release it slowly back into the soil. Infiltration trenches are best used in conjunction with other methods as they usually don't do a good job of controlling runoff beyond a frequent, small storm or "one-year event." Site selection depends on several factors including, but not limited to, soils, slope, depth to water table, and proximity to buildings (they should be located more than 100 feet up-gradient or 10 feet down-gradient to avoid seepage). Also, it is important that they are properly maintained as they can result in groundwater contamination and clogging if they are not. Collection tanks, cisterns, or basins are placed underground to collect stormwater runoff and control volume. Made from a variety of possible materials such as concrete, plastic, steel, and fiberglass, underground stormwater storage can be placed easily under parking lots and roadways, or in non-traffic areas. Depending on structural efficiency and the style chosen, different amounts of cover (aggregates on top of the basin structures) must be added to meet load requirements. Once collected, stored water is released at a controlled rate into local aquifers or the sewer. It can also be infiltrated back into the groundwater supply or directly to a harvesting system where the water can be used for irrigation, evaporative cooling towers, vehicle washing, and other applications. There are also a variety of methods available to treat the stormwater collected which can address water quality issues. Because pavement that is impervious to water is the primary cause of runoff, using a pervious pavement can be a good alternative. Permeable pavement has voids in the pavement surface followed by an aggregate sub-base over undisturbed soil. These voids make it easy for water to pass through the pavement to either be stored or infiltrated. The water either flows to the ground below the aggregate layer or is sent to a reservoir to be infiltrated into the soil. 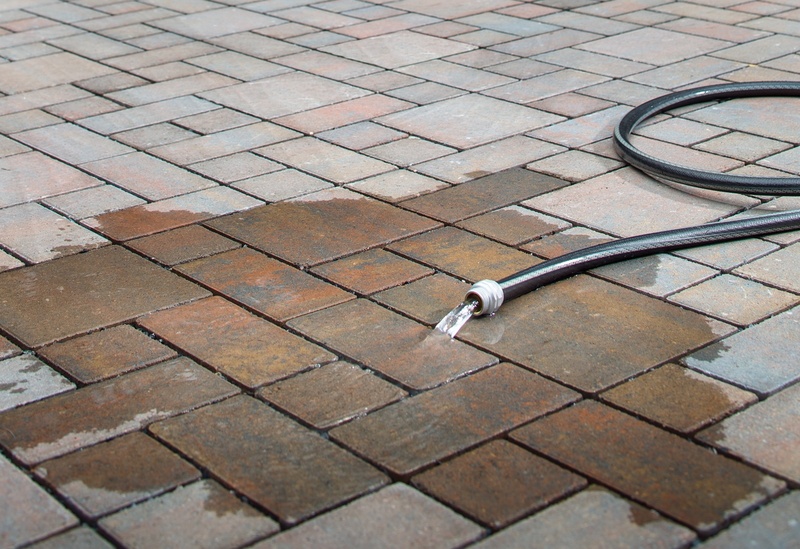 Permeable pavers have voids between the pavers, similar to permeable pavement above. The pavers have varying sized aggregate underneath that filter the water, and they direct water to local groundwater supplies. By doing so, they are accommodating precipitation and promoting infiltration. The voids allow for precipitation to gain access to the soil for infiltration. To achieve a more complete LID system, you can use a paver with a stormwater storage facility which will keep runoff on the site and allow for harvesting as needed. Green roofs are roofs that are covered with vegetation and a growing medium. Vegetation allows for infiltration and evapotranspiration of stored water. Instead of running off, the rain is captured by the substrate and utilized by the plants and then returned to the atmosphere through evaporation and transpiration. The vegetated roof operates as a natural filter to any stormwater runoff as well as moderates the flow of that runoff into the sewer, preventing system overloads. Green roofs gain credits in the LEED rating system for a few categories such as sustainable sites, material resources, and water efficiency. 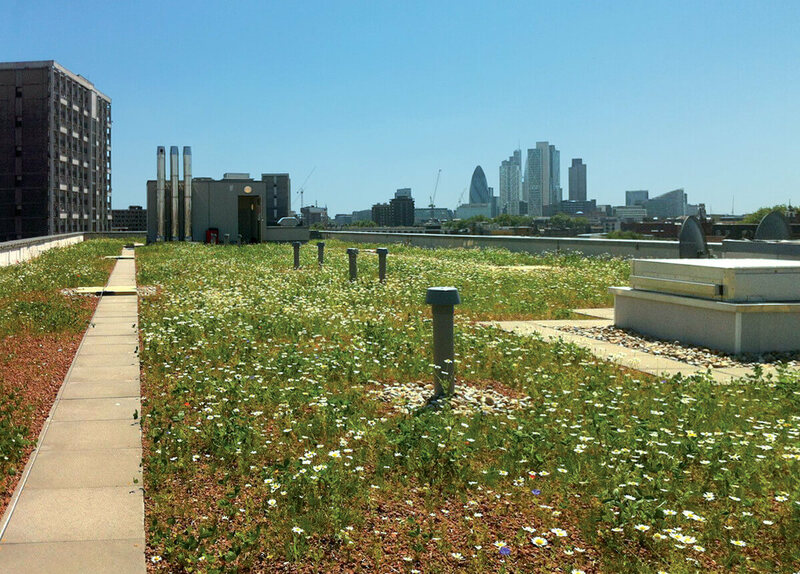 When designing a building with a green roof, it’s important to consider the additional structural requirements needed to support the load. This can often be a challenge for retrofitting a green roof on an existing building. With a little more knowledge on stormwater runoff and how to manage it, you can determine the best option for your project. Not only will following these guidelines result in healthier, cleaner streets, but it could also help you meet LID requirements and earn LEED credits. Interested in learning more about managing stormwater, including reducing pollutants and system maintenance? Check out our guide.